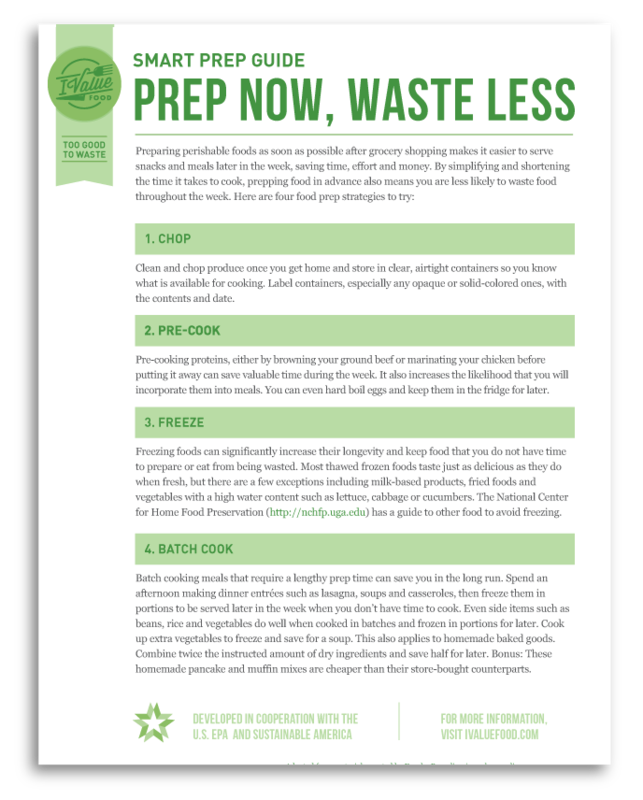 Clean and chop produce once you get home and store in clear, airtight containers so you know what is available for cooking. Label containers, especially any opaque or solid-colored ones, with the contents and date. Pre-cooking proteins, either by browning your ground beef or marinating your chicken before putting it away can save valuable time during the week. It also increases the likelihood that you will incorporate them into meals. You can even hard boil eggs and keep them in the fridge for later. 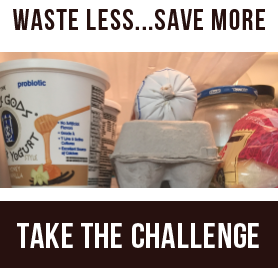 Freezing foods can significantly increase their longevity and keep food that you do not have time to prepare or eat from being wasted. Most thawed frozen foods taste just as delicious as they do when fresh, but there are a few exceptions including milk-based products, fried foods and vegetables with a high water content such as lettuce, cabbage or cucumbers. 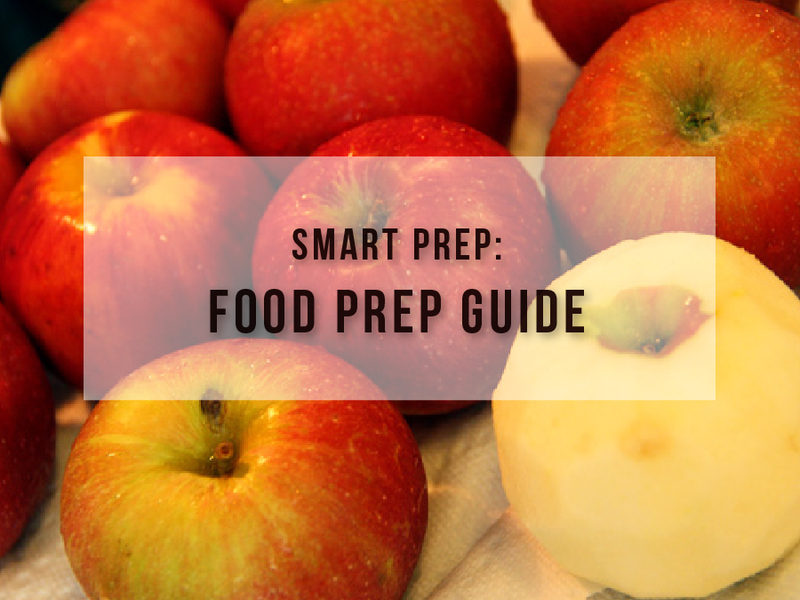 The National Center for Home Food Preservation has a guide to other food to avoid freezing. Batch cooking meals that require a lengthy prep time can save you in the long run. Spend an afternoon making dinner entrées such as lasagna, soups and casseroles, then freeze them in portions to be served later in the week when you don’t have time to cook. Even side items such as beans, rice and vegetables do well when cooked in batches and frozen in portions for later. Cook up extra vegetables to freeze and save for a soup. This also applies to homemade baked goods. Combine twice the instructed amount of dry ingredients and save half for later. Bonus: These homemade pancake and muffin mixes are cheaper than their store-bought counterparts.